On EkhartYoga (the Nextflix of yoga), I have over 90 online yoga classes for you to enjoy. The classes are mostly Yin Yoga & Vinyasa Flow with a strong emphasis on anatomy. Feel free to browse my classes here or on EkhartYoga. p.s. You can try out an EkhartYoga membership for FREE! Do you want to learn how certain poses can be practiced in different ways while still stimulating the area you want to target? Then this Yin class – a preview of my online Yin Teacher Training to come in a few months – is for you! As you are practicing with other students this time, you’ll see how everyone approaches poses differently. 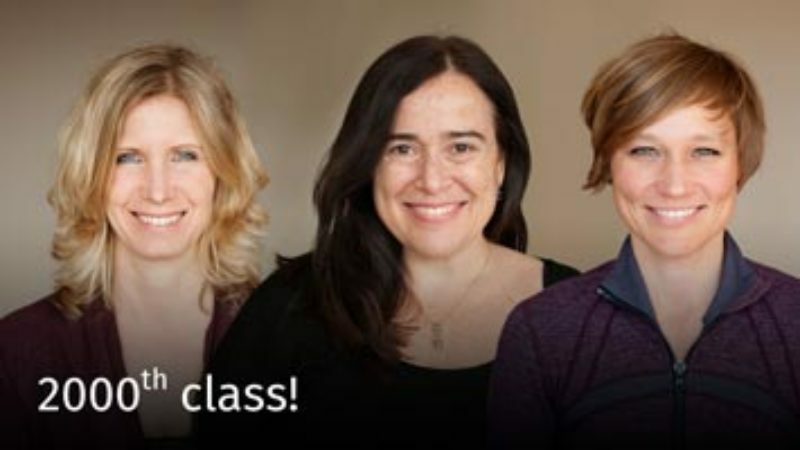 The variations and options offered will also give you new insights and ideas into how to adapt poses you are struggling with, enabling you to feel their full therapeutic benefits. In this class, we stimulate, open up and release tension in the inner thighs, the bum muscles, the spine, and hips. The forward and backward bending can release fear and grief. If that is the case for you, allow it to come and let it out as this can be very healing. Mentally saying the HumSa and SoHam mantra on the inhalation and exhalation has a unique effect on everybody – it either calms you down or wakes you up. Try it out and notice what effect it has on you. The session starts with meditation and finishes with Savasana, Pranayama and meditation. I can’t get my heels to the floor; what now?